"Alta required their cyclists to perform service hours as members of the team. They performed trail maintenance to trails all around the valley. Alta went above and beyond in making friendships and looking out for other teams. As a Bingham high school Parent, I can tell you that Bingham and Alta are huge rivals and have been for many years! With this being said, Alta's coach and Riders went out of there way to be awesome pitzone neighbors with our Bingham kids!! They invited Bingham to eat lunch with them. In Moab our Coach was out in the heat all day. He started feeling the effects of the heat. He had run out of water and was starting to feel pretty sick. His phone had no reception to get help. Just when things had gotten as bad as it could. A meal was delivered to him. Furnished by that Incredible Alta high school team. It made all the difference to him that day! My Son's biggest competition is on the Alta team. Competition is great but friendships are even better. These boys didn't know each other before this season. The competition has brought them to make a friendship. It started as fist bumps at the finish line and wishing each other well before races. After the Eagle mountain race they met up and discussed that race. Pretty awesome for Teams who are rivals!! Alta is doing great things! From giving back to the trails we all use, to going above and beyond to help the coach of a rival team. Having great members to reach beyond team statis to make friendships with riders from other teams. Thanks ALTA!!!" 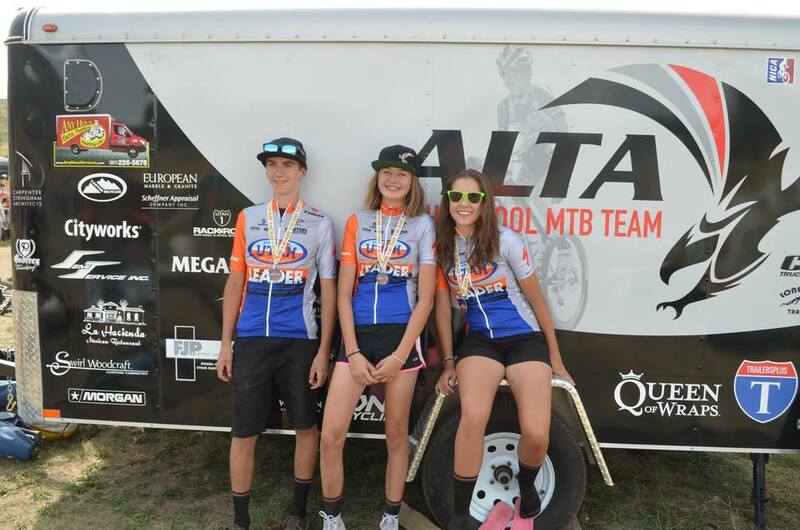 "Alta High School's MTB team consists of an amazing group of kids, coaches and parents. Friendships among team members are very important to them. They cheer for each other at the races and encourage each other to be their best. The team will even cheer for other teams at races. They recognize effort and applaud it by cheering for teams who show spirit, strength or effort. They kindly offer advice to team members on how to be better riders. They set good examples of hard work brings rewards, a stronger body and faster race times! The more experienced riders are helpful to the younger riders and are very encouraging to them. In September when one of our junior devo. riders crashed and was unconscious on a Corner Canyon trail, team members were there offering assistance, concern for him and wanting to do whatever was needed to help him. 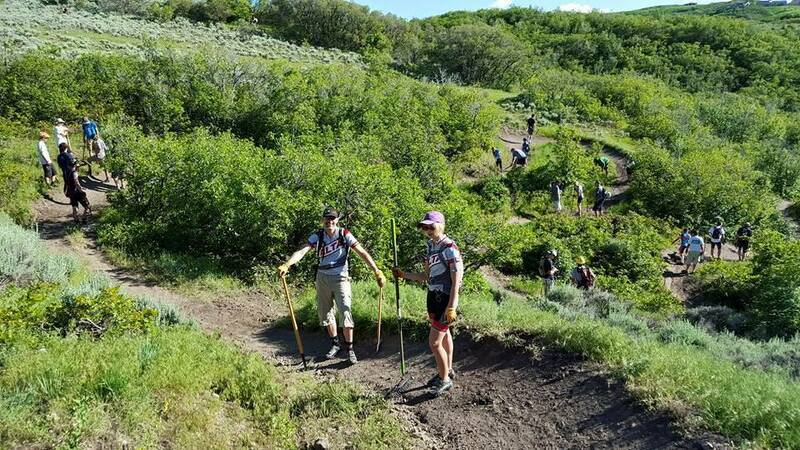 Recently one of our coaches was severely injured on the Corner Canyon trails and team members stayed with him until advanced medical care came, offering support and help. Afterwards the concern for their coach was apparent in the get well card notes the team all wrote for him. One of the Alta team members has special needs that makes physical and social activities harder at times for her. The team has welcomed her, encouraged her and offered her friendships that mean a lot to them and her. Even at school where it is so important to be “cool” they are openly friendly and inclusive of her. Last summer five members of Alta’s team volunteered to participate in the “I Can Shine” program, teaching kids with developmental delays how to ride bikes. They had a great time teaching and learning from the student bike riders. This was a character building experience that taught these team members what comes easy for some is not so easy for others, differences can be fun, to have patience and to have joy in small improvements. The Alta team is always willing to help those with needs. In Moab team parents had prepared all the food for our racers and their families. They had prepared more delicious food than the team could eat so they invited the Bingham and Olympus MTB teams and many others to come and eat with them. These same parents also arranged an exciting Hummer tour of the Moab slick rock trails for many team members. The experience was memorable and more so because of the team members bonding together in their Hummer! Our team parents also have great team spirit! The team has enjoyed opportunities to get together to encourage friendships. The preseason party had friendly competitive games of miniature bike riding, pinata breaking, diving board acrobatics, and football throwing that showed skill and talents that team members didn’t know each other had! The night before the Moab race the team got together and had a pizza dinner and swimming. The majority of the team was able to be there and had a great time with each other. The team works hard to provide opportunities to be together to promote a sense of inclusivity and camaraderie. The Alta team does a variety of other things to encourage team spirit. They have made signs to wave at races to encourage their riders. They shake cowbells when a teammate rides by on the race course. They are at the finish line to welcome Alta finishers and to congratulate them on their races. They have been known to carry exhausted team members back to their tent when needed. Several team members who are artistic have drawn henna and marker “tattoos” on each other to promote Alta’s mountain biking team and to create a sense of belonging to each other among team members. At the Eagle Mountain race “tattoos” were shared with other teams too because Alta likes to share the spirit! One of our great team parents shares his talents by making a race video that everyone on the team enjoys participating in. The team really looks forward to the unveiling of the newest race video and wonders what music he has put to the race action. Another parent takes hundreds of pictures of team members and posts them to the internet for download. Everyone again looks forward to seeing their pictures and sharing them on Facebook. These activities promote a sense team spirit and friendships. Alta High School had their Homecoming dance the same Saturday as the Moab race. The night before the race, Friday was the Homecoming football game. 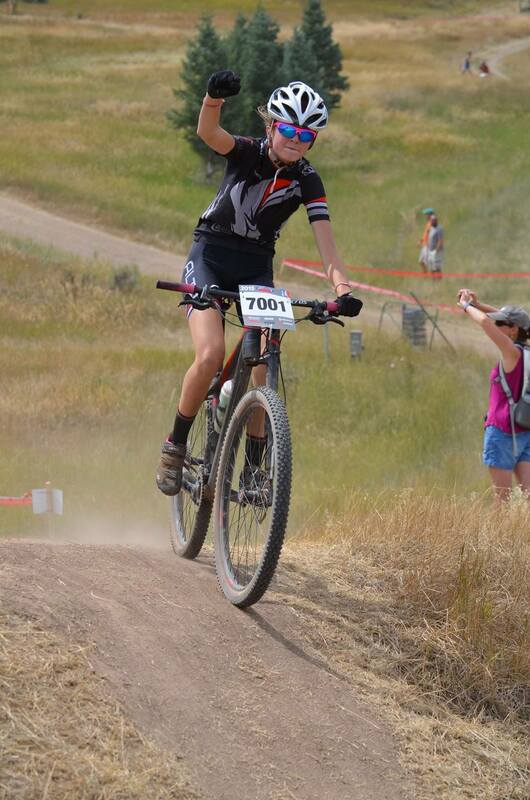 One of Alta’s MTB team members had been nominated for Homecoming King. This team member went to Alta’s football game and was crowned Homecoming King. Yeah! He then left after the game, drove to Moab and found his hotel room was no longer available at 1 AM. He also found his bike tire had a hole burned through it from his car muffler. But he still didn’t lose his spirit! He got his tire fixed and was ready to race on time. Just as the race started his chain fell off and he started way behind the other riders in his division. Still not ready to give up he finished the race, passing many riders and scoring points towards Alta MTB team total. After the race he immediately left and drove back to Sandy, to take his date to the Homecoming Dance! What team dedication and spirit he has! Much of Alta’s team spirit is due to the dedication of Head Coach Steve Hales. He is tireless in doing whatever is needed for the the Alta MTB team. He is organized, helpful, thoughtful, smart, and innovative in his coaching of the Alta team. The excellent spirit of the Alta MTB team starts with their coach Steve Hales. His team spirit is a role model for all of the Alta MTB team members. 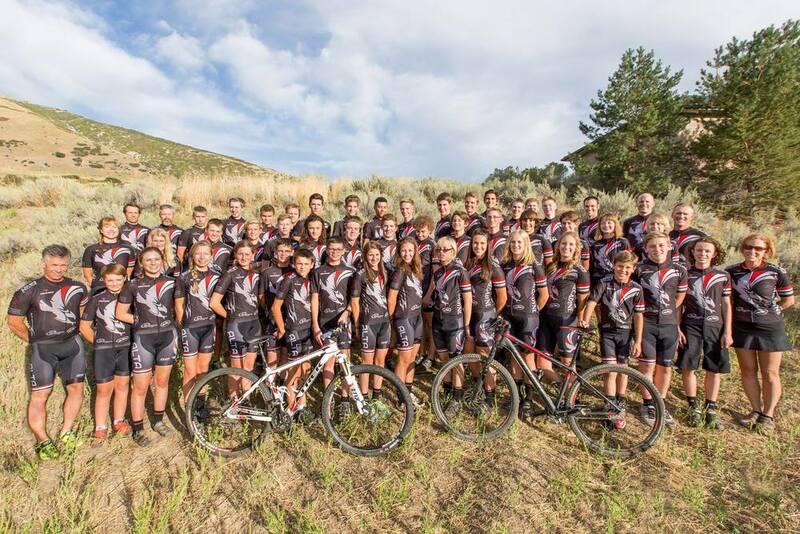 Alta’s MTB team has frequently raced with only about 30 riders. Teams with 140 plus riders are in their division. Alta hasn’t let this destroy their team spirit though. They still race hard even knowing that the odds for placing 1st, 2nd, or 3rd in team standings is pretty unlikely. The team continues to do their best and has several riders that podium and many who have improved each race because of their dedication to the team and to improving themselves. I admire this so much.